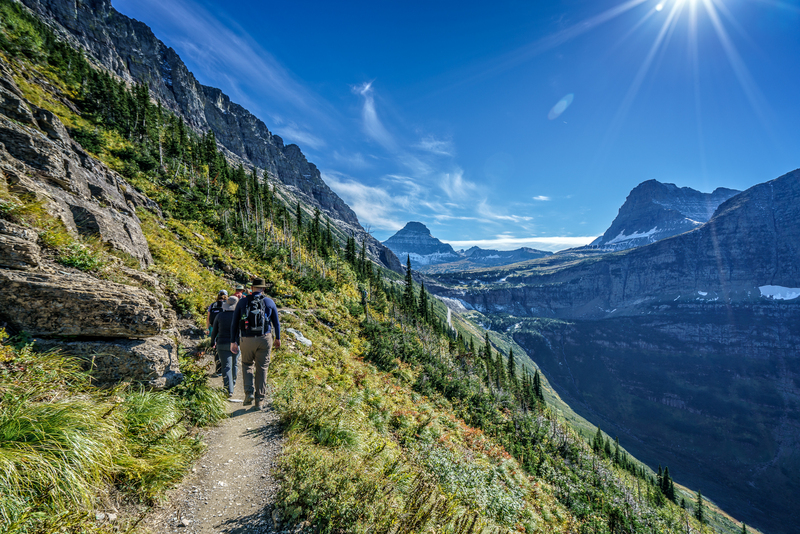 I've rarely experienced the cornucopia of gorgeous environments that I did at Glacier National Park. Earlier this day, I gazed at steam rising from Lake McDonald and walked through a forest of cedars. 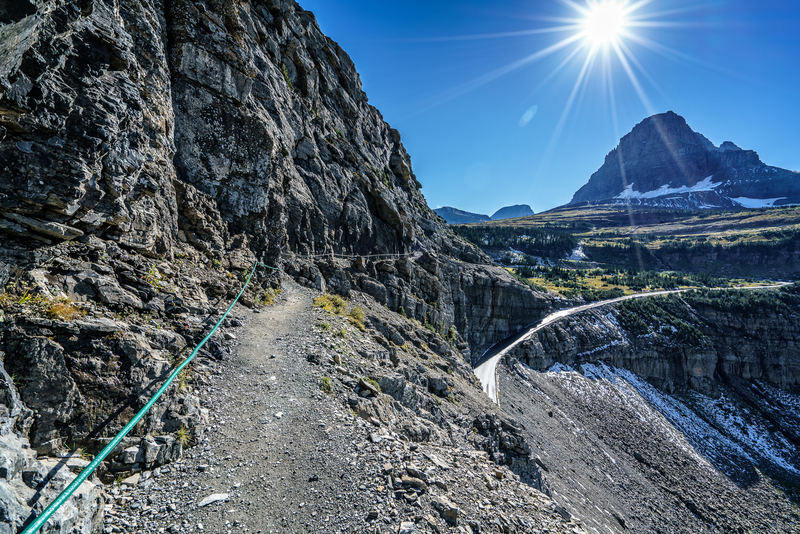 And then the afternoon saw me join a ranger-led hike on the Highline Trail, a narrow path far above the Going to the Sun Road offering amazing views of rocky mountain peaks... and steep dropoffs for unwary hikers! 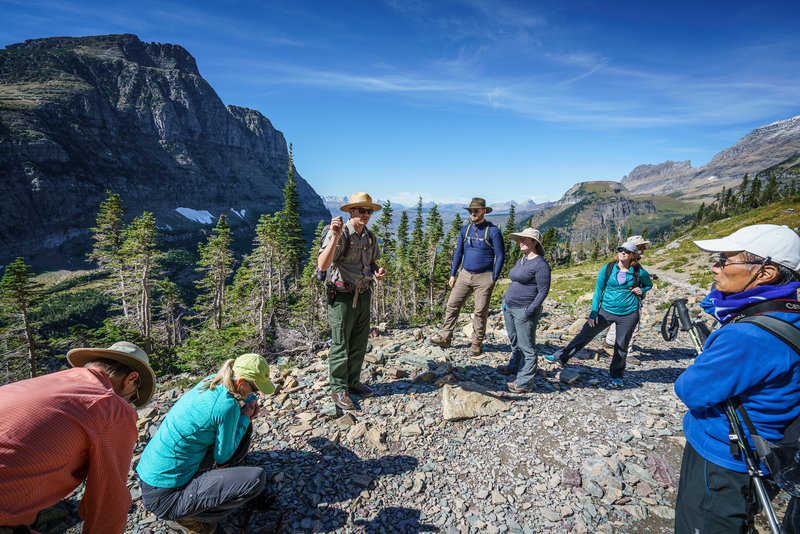 Speaking of ranger-led hikes, Glacier National Park features an impressive array of ranger-led programs. They're a great way to learn about the history and environment of the area. And they provide strength in numbers and the protection of a ranger packing bear spray, if you're worried about that kind of thing! Ranger-led hikes are a great way to learn about the history, environment, and geology of a national park. 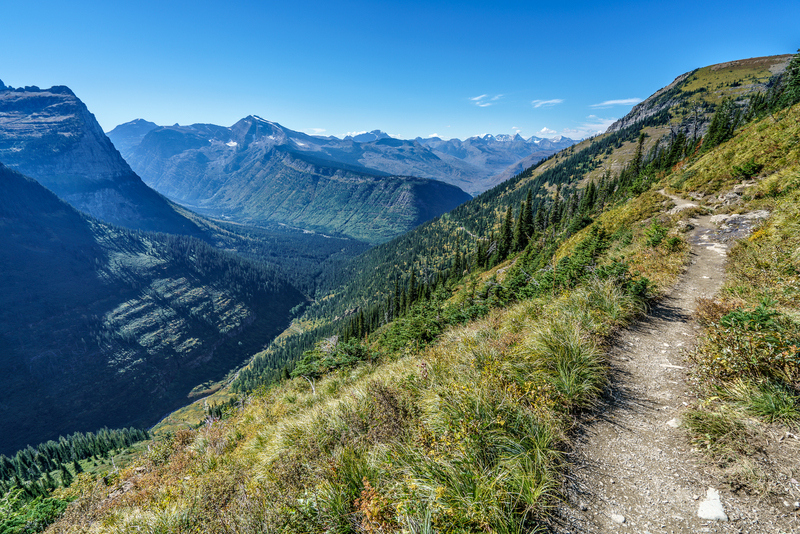 The Highline Trail offers astounding mountain views. A hand cable at this section of the Highline Trail aids hikers in keeping balance.